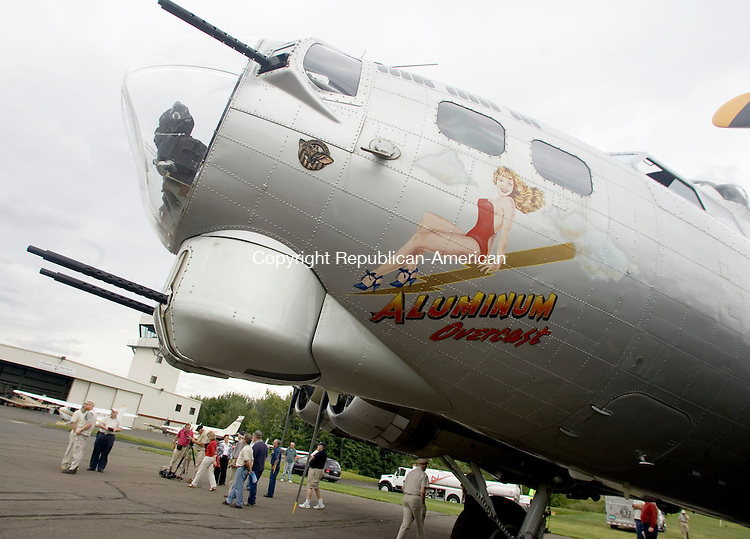 A B-17 bomber at the Waterbury-Oxford Airport in Oxford on Monday. The bomber is part of the Experimental Aircraft Association 2007 "Keep It Flying" tour. Public flights will take place from 10:15 a.m. to 1:15 p.m. today and Wednesday. The cost is $385 for association members and $425 for non-members. Tours will also run from 2 p.m. to 5 p.m. on the same days, at $10 for a family, $6 for adults and $5 for students.